"As the corpse of the monstrous entity Chthon sinks back into the lava whence it rose, you grip the Rune of Earth Magic tightly. Now that you have conquered the Dimension of the Doomed, realm of Earth Magic, you are ready to complete your task." 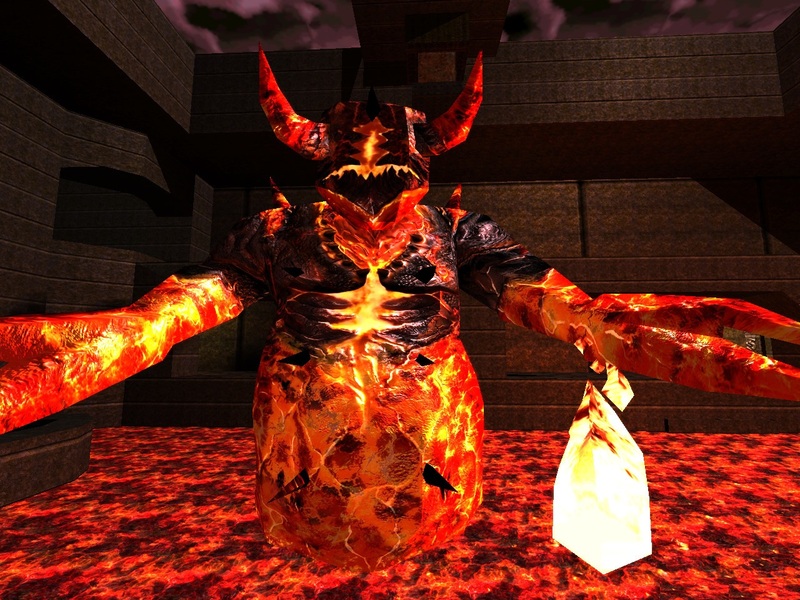 Chthon is the end boss of the first episode, Dimension of the Doomed. You can find him in The House of Chthon, which is preceded by The Door to Chthon. 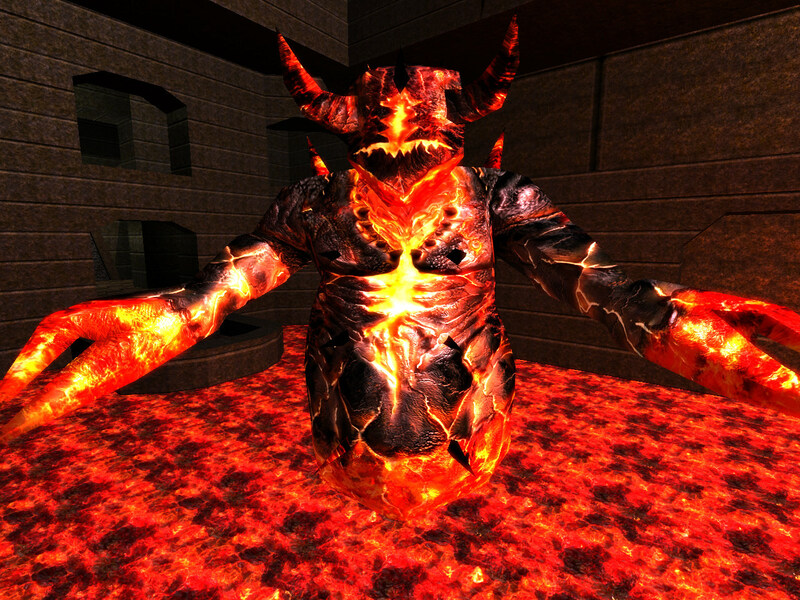 He resides in a pool of lava, emerging once you pick up the episode's rune. 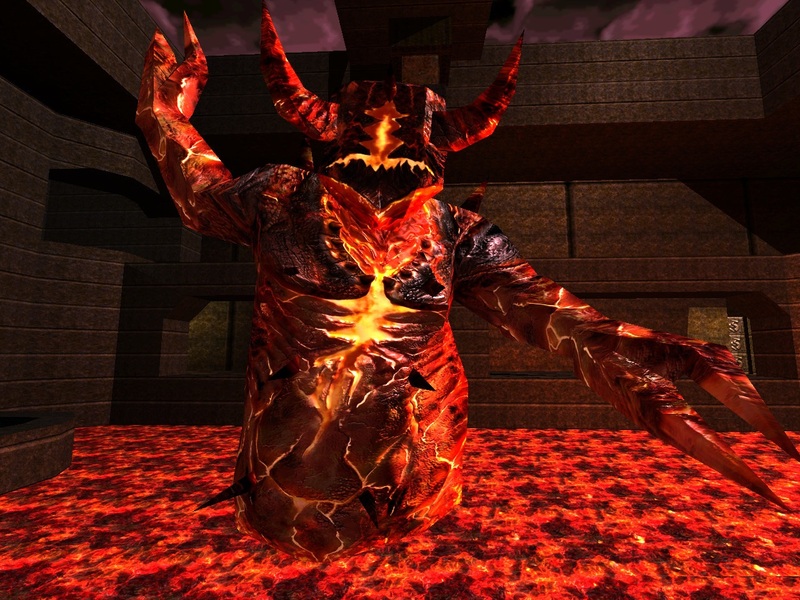 He attacks by hurling explosive lava bombs (which, on Hard difficulty, are aimed ahead of moving targets). The lava bombs do the same amount of damage as a player's rocket (which is at least 100 upon a direct hit). He is immune to player based weapons (via self.takedamage = DAMAGE_NO;), and can be damaged only by electrical prongs residing in the ceiling of his house, the code for which can be found in boss. 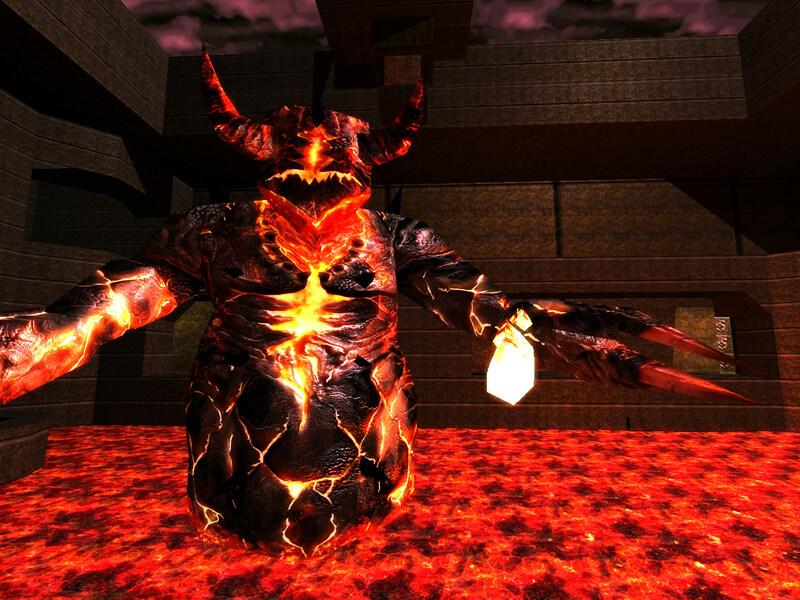 sinks back into the lava, and a bridge forms over the sulfurous mass allowing you access to an exit from the arena. 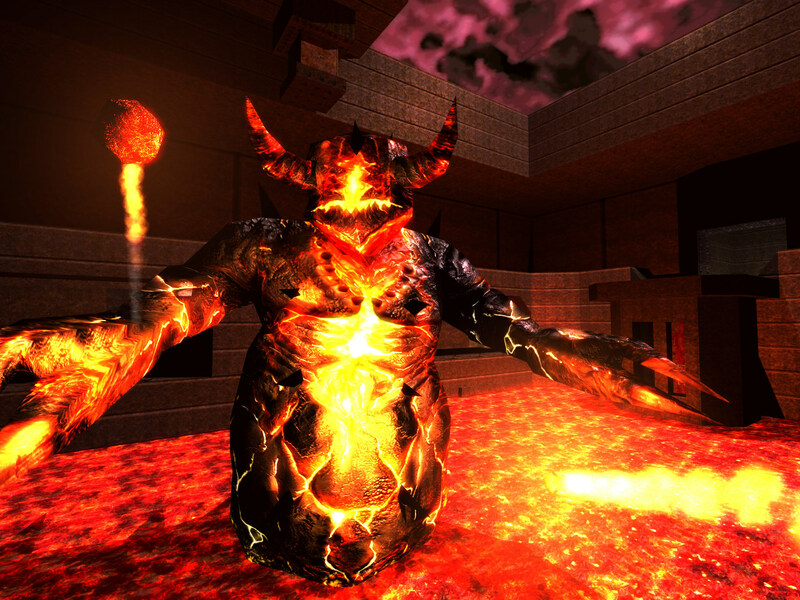 molten rock, with the rest of his body a bright red, relecting the lava. whilst the player is concretrating on hitting the floor panals, though this is rare. 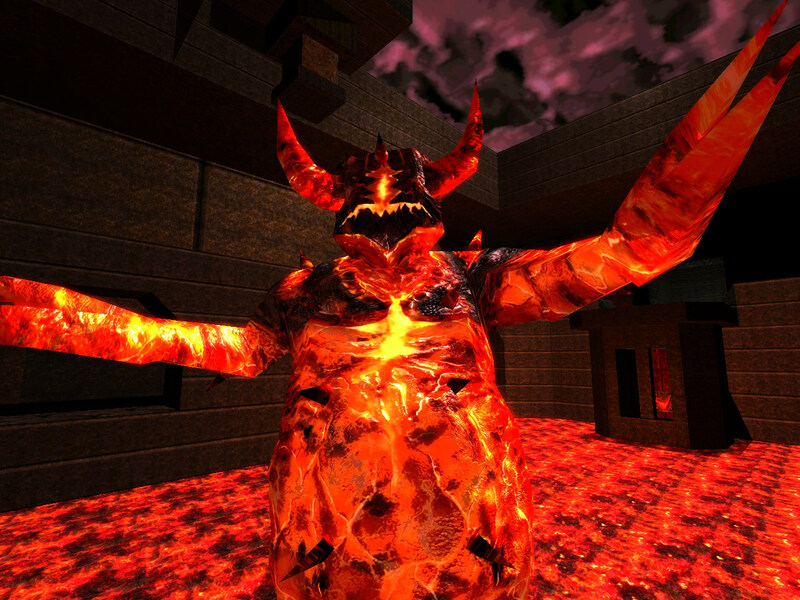 demon back into the pit of lava, from whence it rose. Magic tightly. Now that you have conquered the Dimension of the Doomed, realm of Earth Magic, you are ready to complete your task"